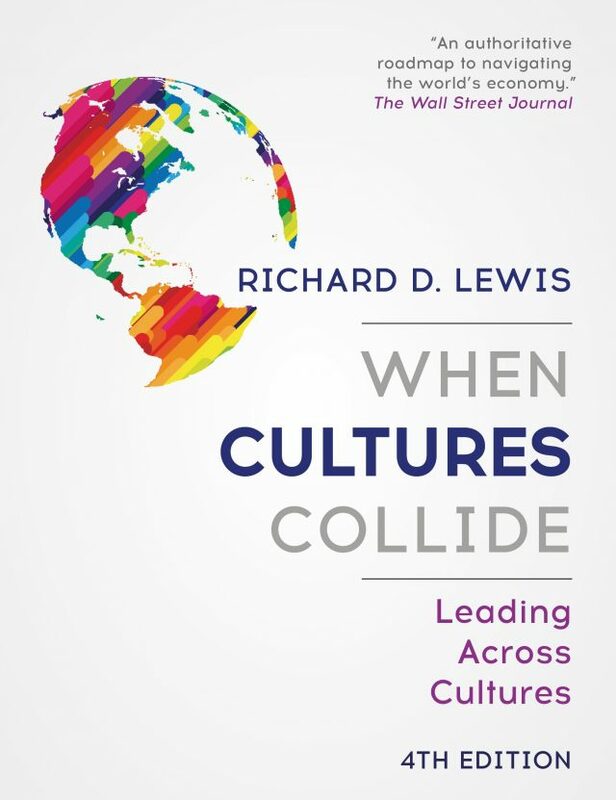 Over the last year, I have been working on the fourth edition of When Cultures Collide, which has just come out this week. I am thrilled that since it’s first publication in 1996, When Cultures Collide has come to be considered by many as an indispensable handbook to doing business in the global environment. The Lewis Model that I developed has also enabled people to analyse cultures in a structured way and provided practical strategies to help them work more effectively with colleagues and clients from different cultures. Since it was first published, When Cultures Collide has sold over 1 million copies and has been translated into 15 languages. The material in the new edition has been extensively updated and I have included nine new countries, further completing the European landscape, as well as adding several countries of contemporary significance such as Belarus, Myanmar and Ukraine. I hope that you will enjoy the new edition and find it a helpful tool for navigating today’s increasingly global world! For a limited period, we are offering signed copies of the new edition via our website. If you would like to order a copy, go to: https://www.crossculture.com/product/when-cultures-collide-4th-edition/.